The Lemon Project Memorial to African Americans Enslaved by William & Mary is part of a long-term and ongoing initiative at William & Mary to research the university’s involvement in slavery and its ongoing relationship with the African-American community. A 2014 course taught by Jody Allen, Lemon Project director and assistant professor of history, and Ed Pease, instructor of art and art history, asked students to develop proposals for a possible memorial to the enslaved. Students from that class later helped form the Lemon Project Committee on Memorialization, co-chaired by Allen, Pease and Susan Kern, executive director of the Historic Campus. After consultation with the campus and local communities, the committee recommended a design competition and in April 2018, the university announced its plans for a memorial. "This is a very exciting time,” said Allen. “We've been working toward this moment, which started with a course, for several years. 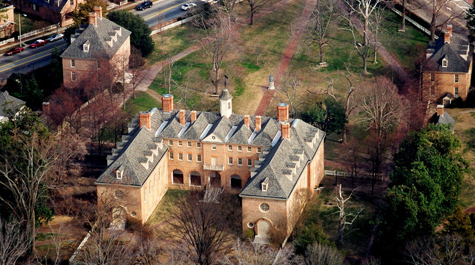 This is another step in carrying out the Student Assembly resolution which was passed in 2007 and called on William & Mary to research its history as it relates to slavery, make that history public and establish a memorial to the enslaved." A conceptual design competition will serve to identify and commission the design concept for the memorial. The Lemon Project Memorial to the Enslaved fund will provide support for the proposal, design and implementation processes. William & Mary is committed to advancing a diverse, inclusive and welcoming environment for all of our students, faculty, staff and alumni. Our community is comprised of individuals with different backgrounds, talents and skills and our vision is for everyone on and off campus to feel supported and affirmed. Learn more about Diversity & Inclusion Initiatives at William & Mary.